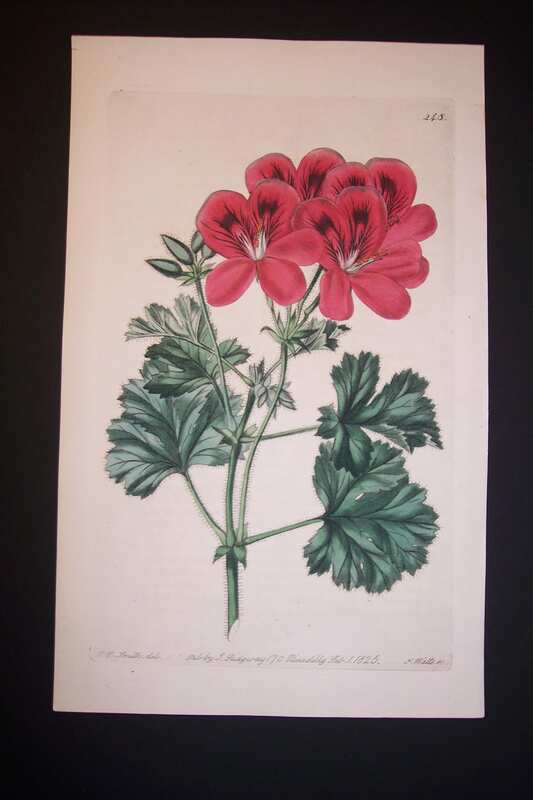 Geraniums & Pelargoniums coming from Robert Sweet’s Geraniceae, or Genus of Pelargonium are considered to be the finest work ever published on the subject. 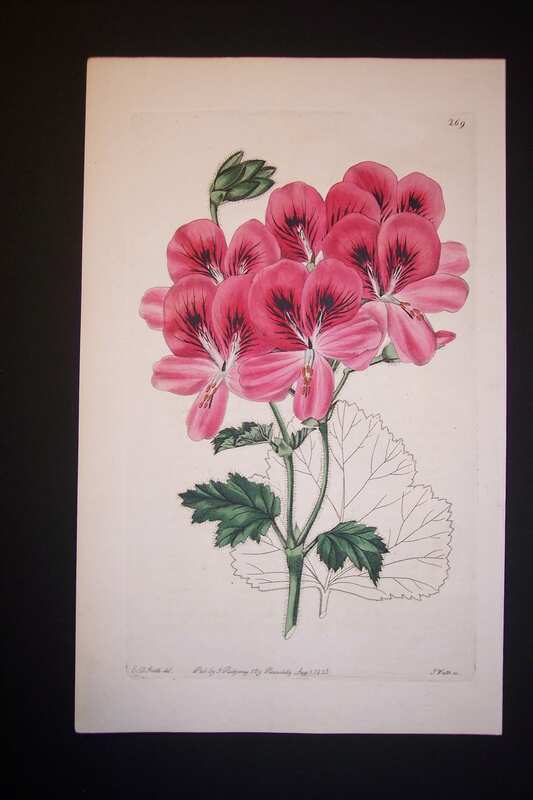 See bright and Bold Azaleas & Rhododendrons! 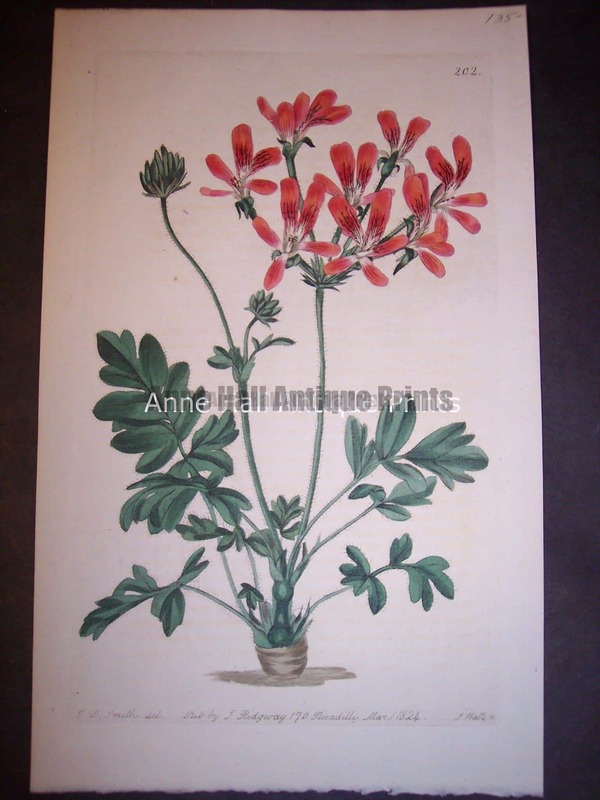 Click here to contact us or call Anne at 413-245-4197. 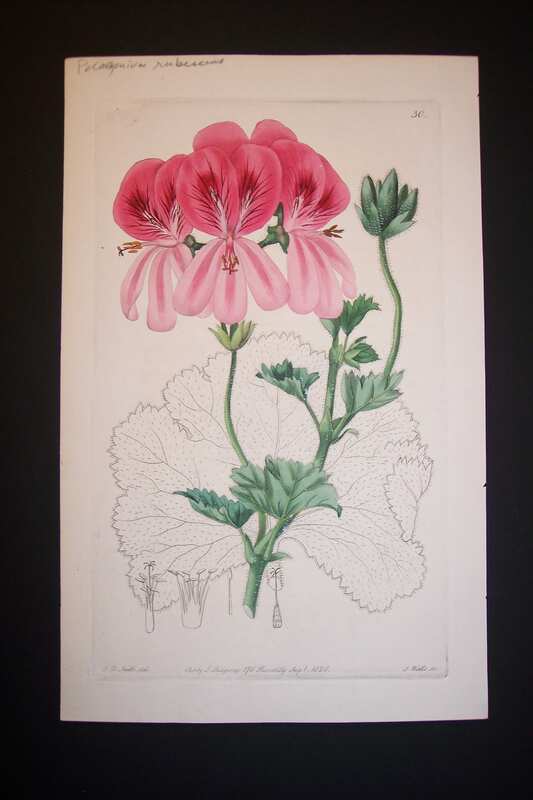 Pelargoniums produced c.1820 by Robert Sweet. 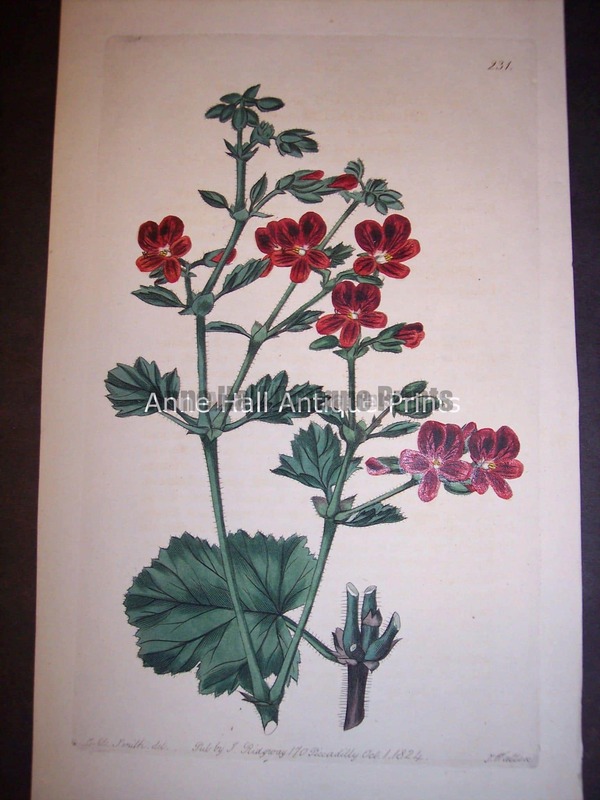 There are old botanical illustrations. 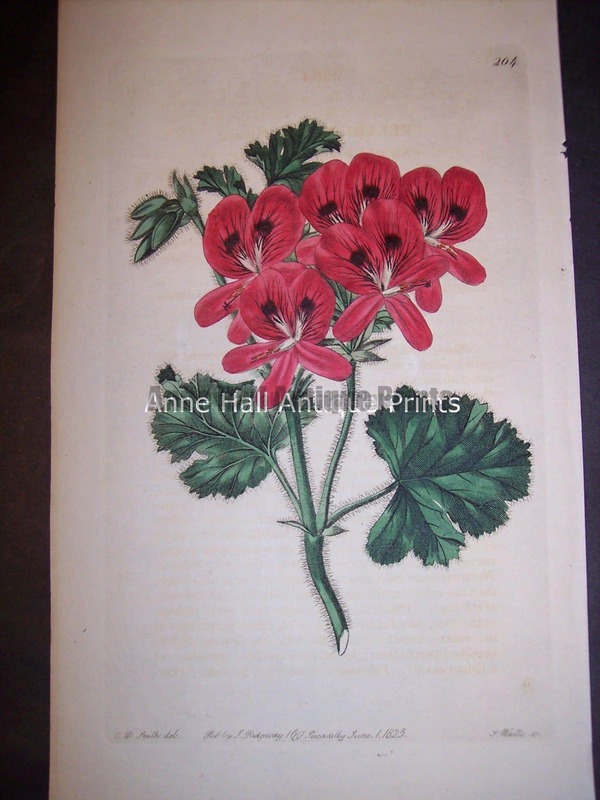 Produced for early illustrated botany magazines. 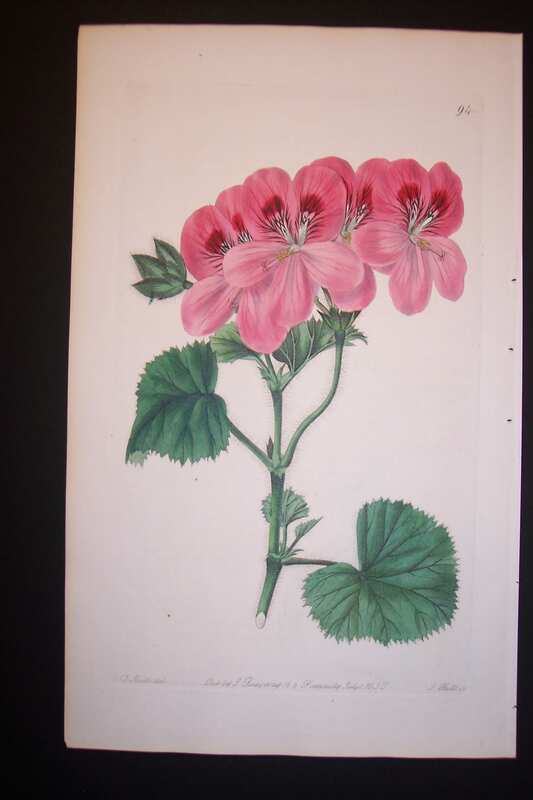 They are hand colored with water colors. 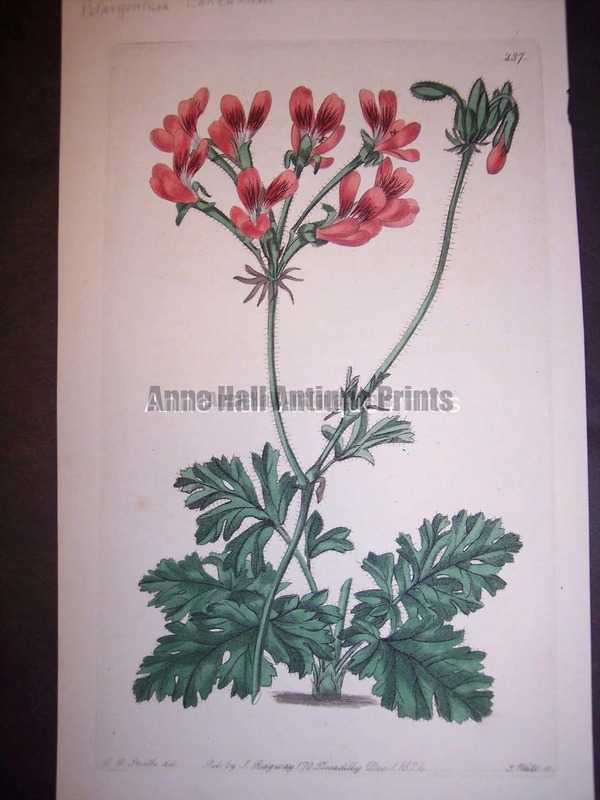 They were printed from copper plate engravings. 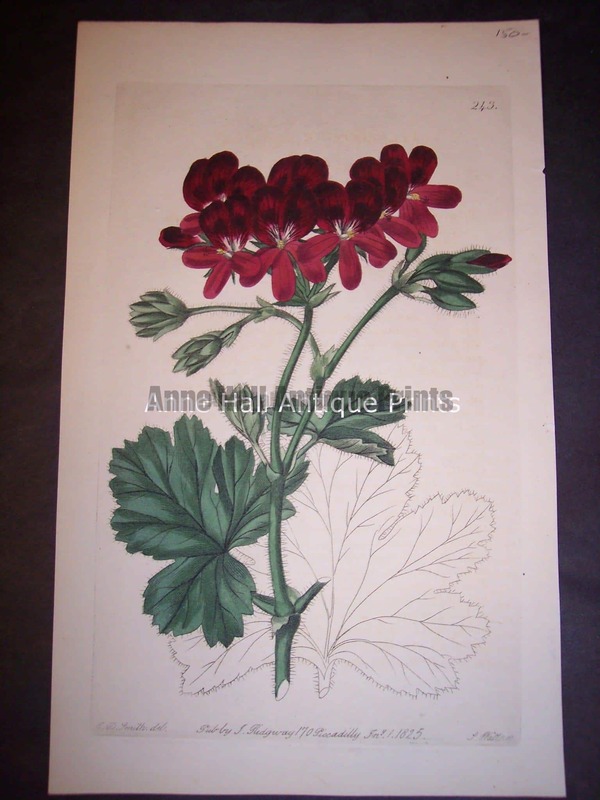 The paper is hand made rag paper. 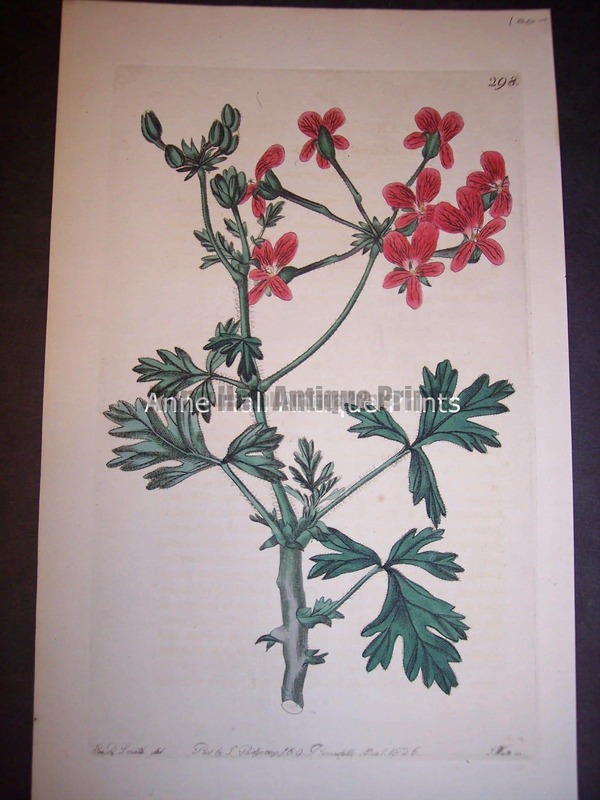 Published in England, early 1800’s. 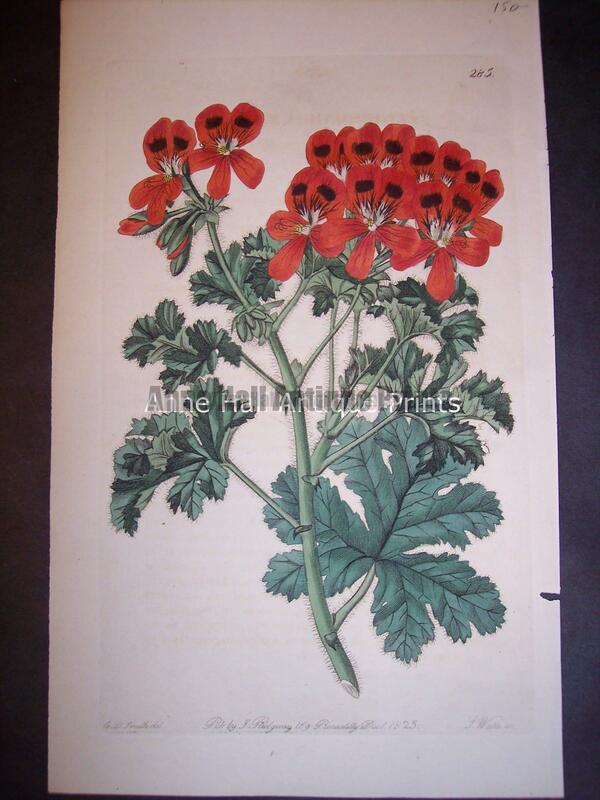 6 x 9 1/2″ Perfect for framed pieces from 11×14 to up to 16×20 with frames. 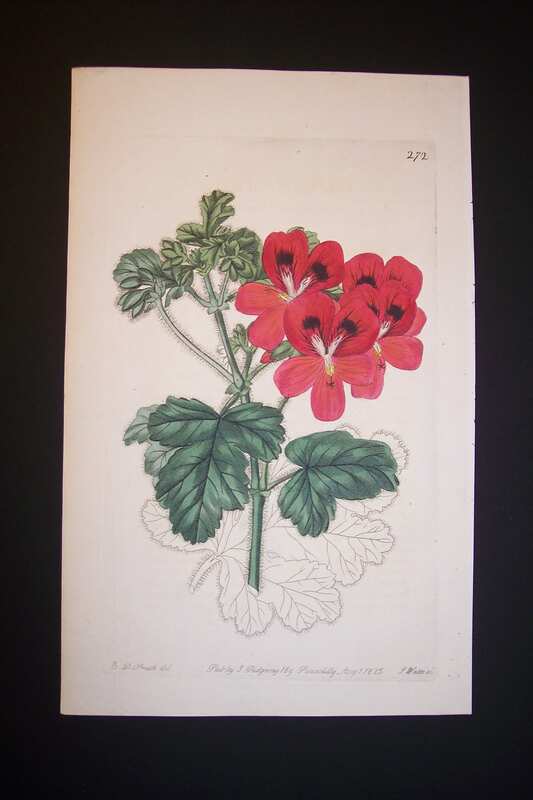 $125 each. 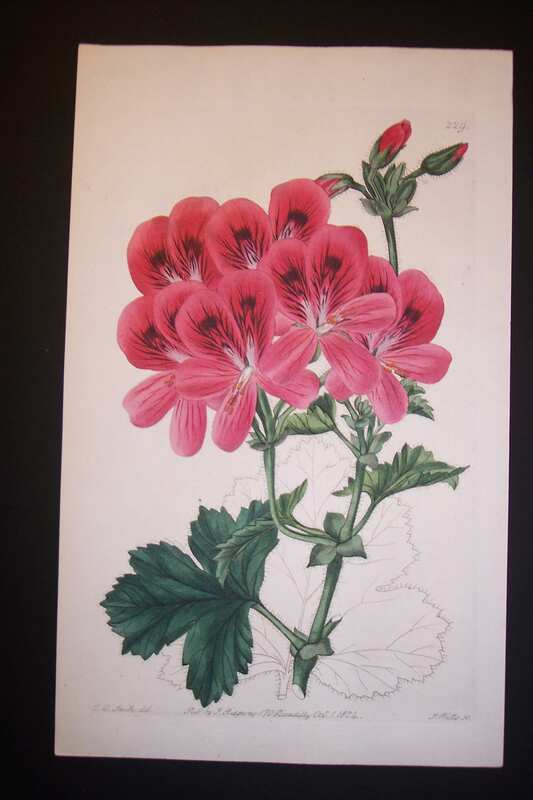 Email Anne or Mark: oldprint@verizon.net or call 413-245-4197 with your special request and to see more! 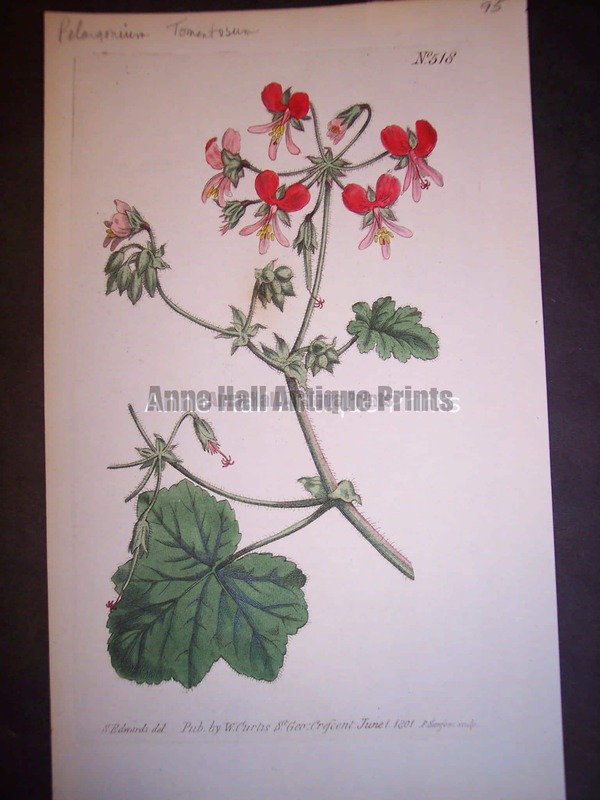 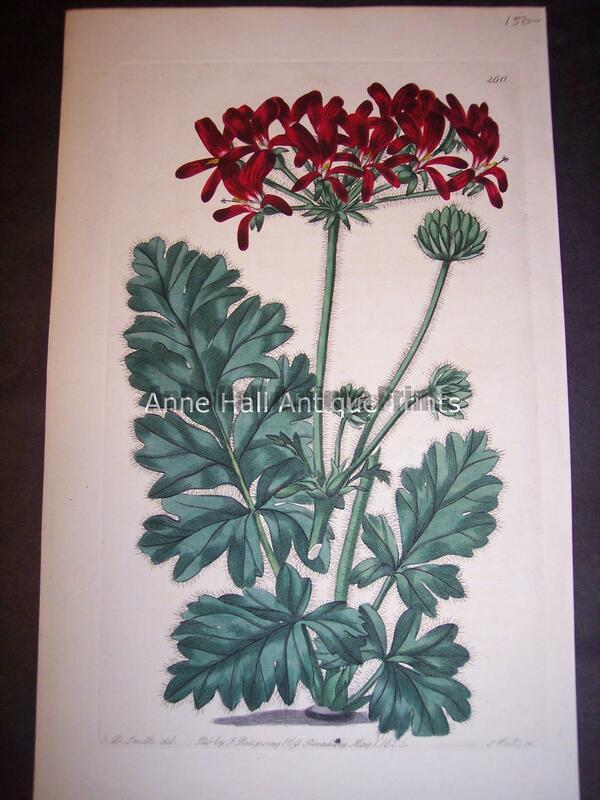 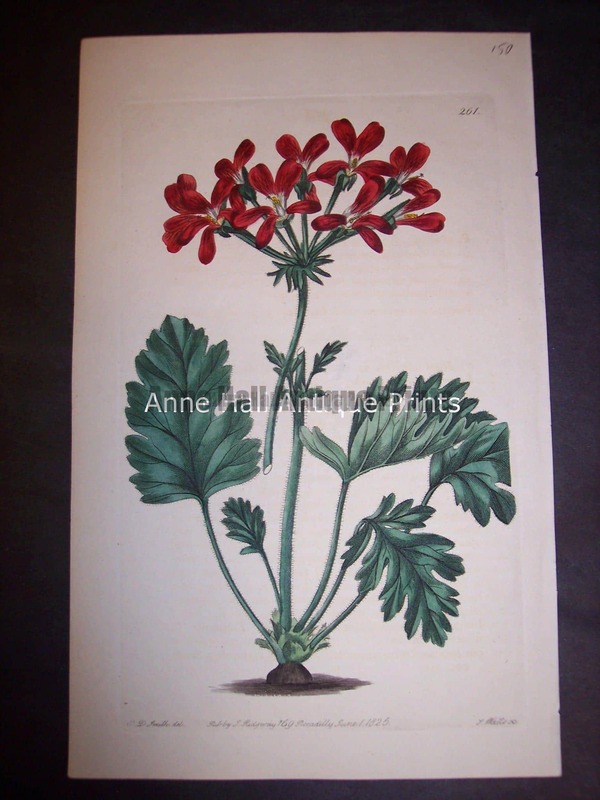 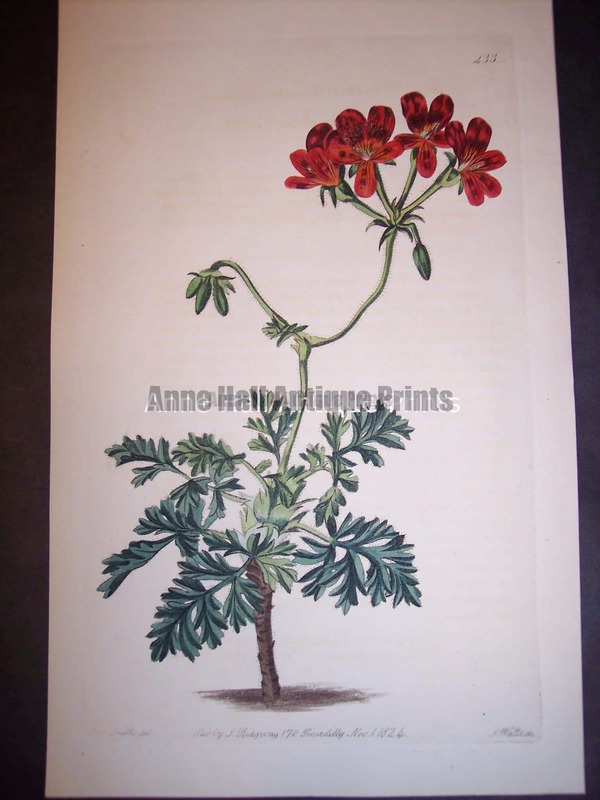 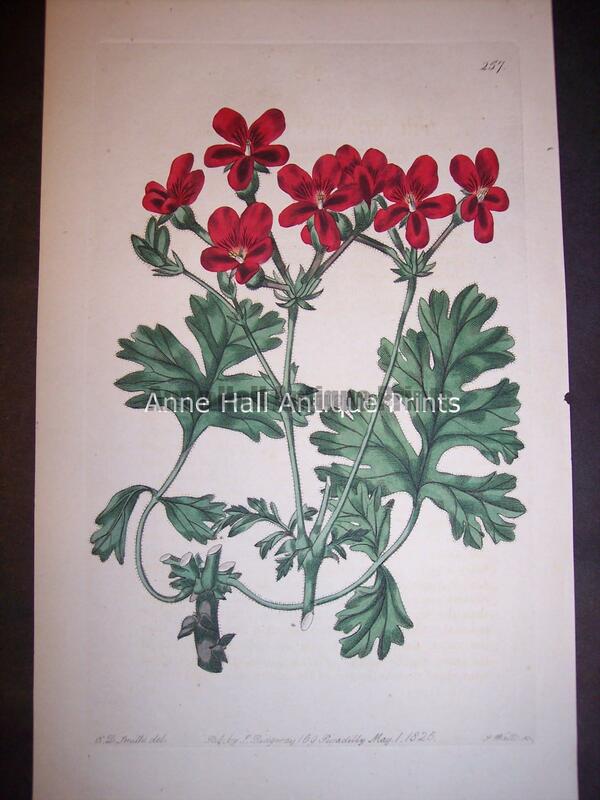 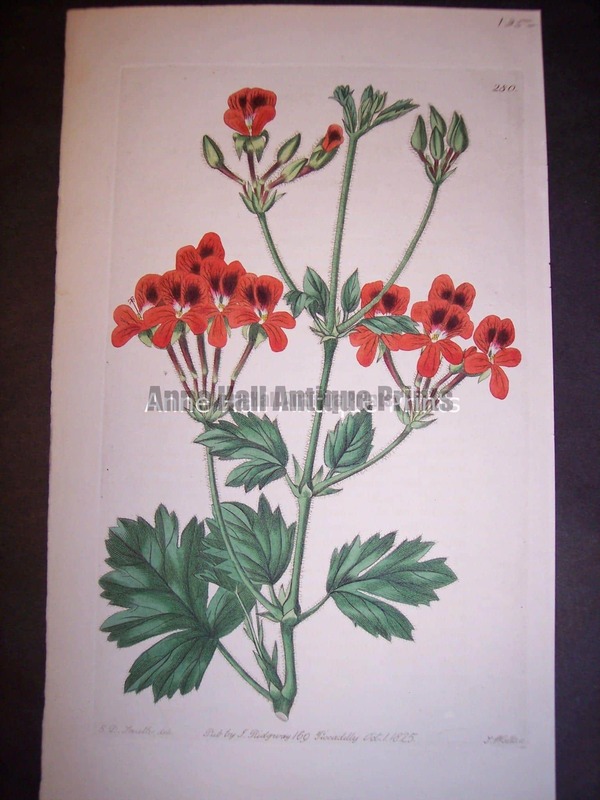 The hand colored geraniums seen at Anne Hall Antique Prints are in superb condition. 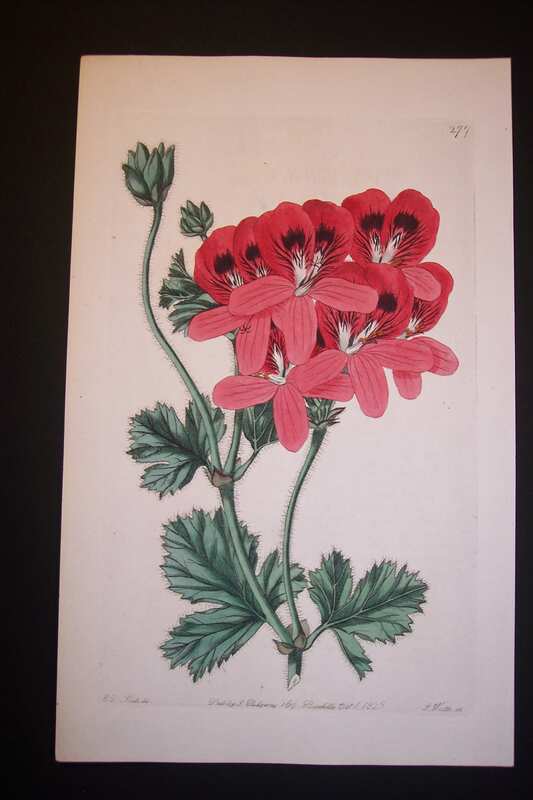 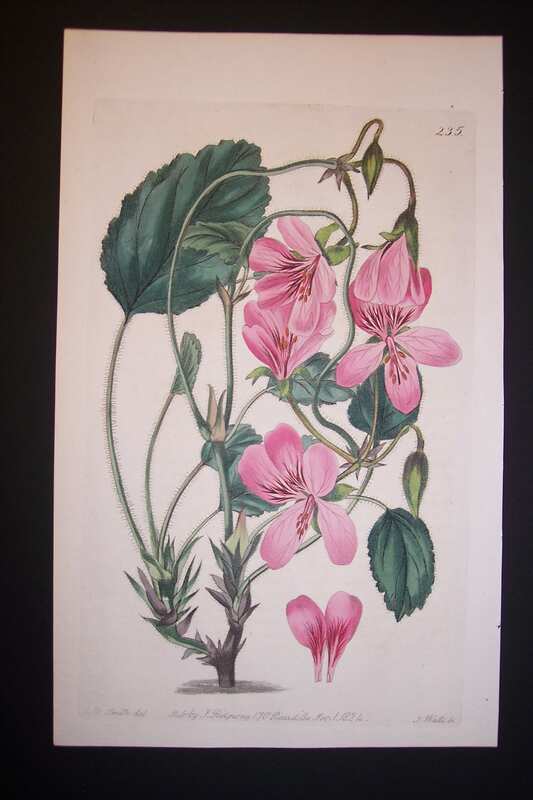 Each piece of artwork is a lovely example of hand colored engraving of geraniums published in the early 1800’s. 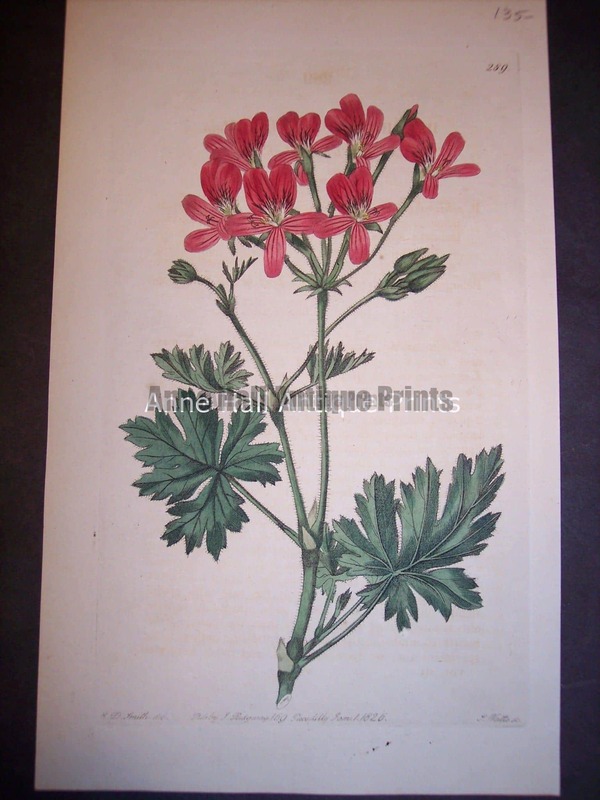 A copper plate engraving is an antique printing method whereas a very thin flat piece of copper was attached to a block of wood. 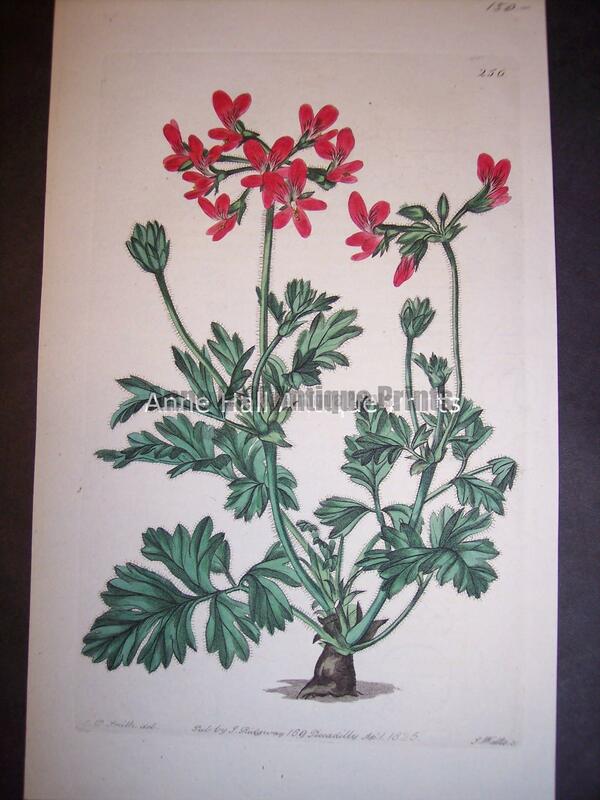 Tools called burins were used to engrave into the copper the desired image. 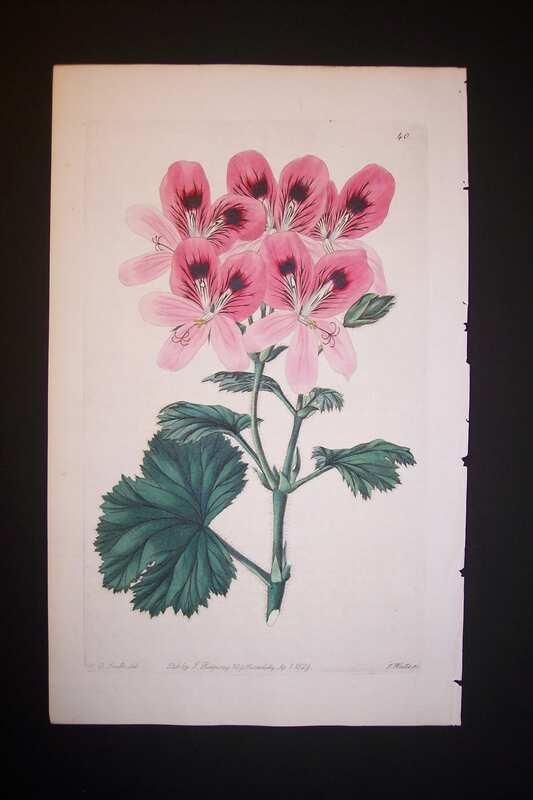 The copper plate was carefully inked up and printed onto a slightlypiece of hand made rag paper, in this case light wove paper. 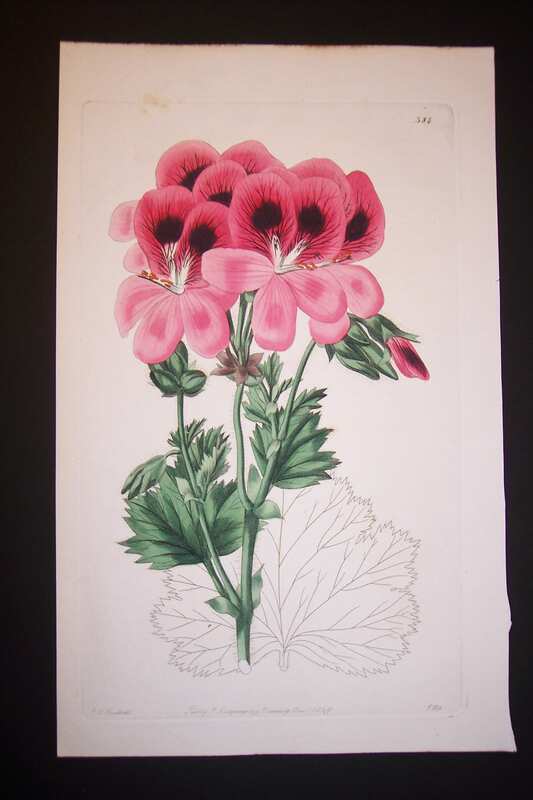 Water colors could be added by hand.